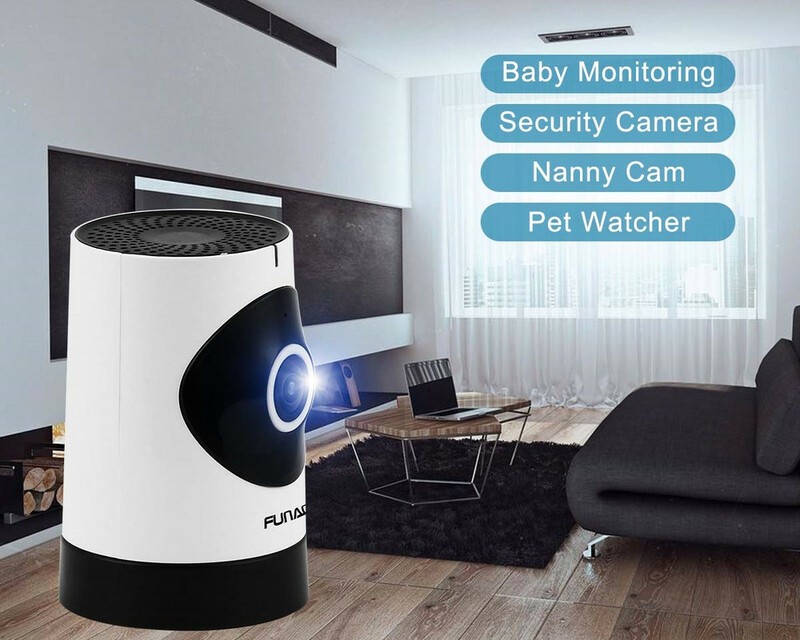 FunAce HD 180 Degree Fish-Eye WiFi Camera is very efficient where you can watch and record the entire room without panning or tilting. It is very unique, elegant, and charming. It is extremely compact and portable, just can simply sit it on a table or anywhere indoor and you will have the entire panoramic view. Our slim design comes with a built-in antenna, speaker, and microphone. Watch Your House When You Are Not At Home - Quick & Easy! Plug in your camera, download the free mobile app, simply follow the installation manual below to connect the camera to your Wi-Fi. High quality video with 1.3 Megapixel HD resolution giving you crystal cear quality picture and enabling you to zoom-in 4x to see details with more clarity. IOS/Android app 360eyeS available on iTunes and Google Play. 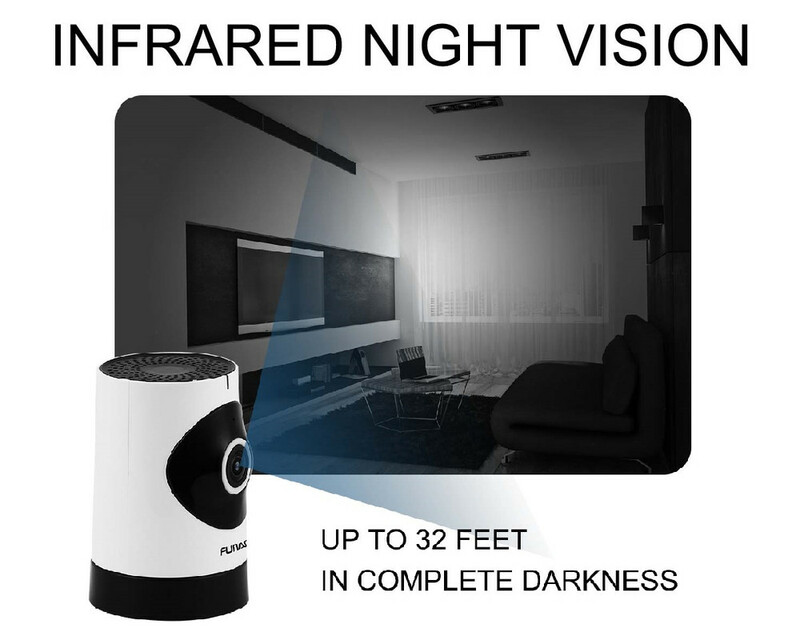 The light sensor will automatically turn on night vision mode in low light conditions allowing you to see up to 32 feet in complete darkness. Supports up to 128 GB card and overwrites the oldest files when full. Continuous recording mode will save a new video file every 10 minutes 24/7. Camera will snapshot an image immediately and send a push notification and snapshot to your phone app.